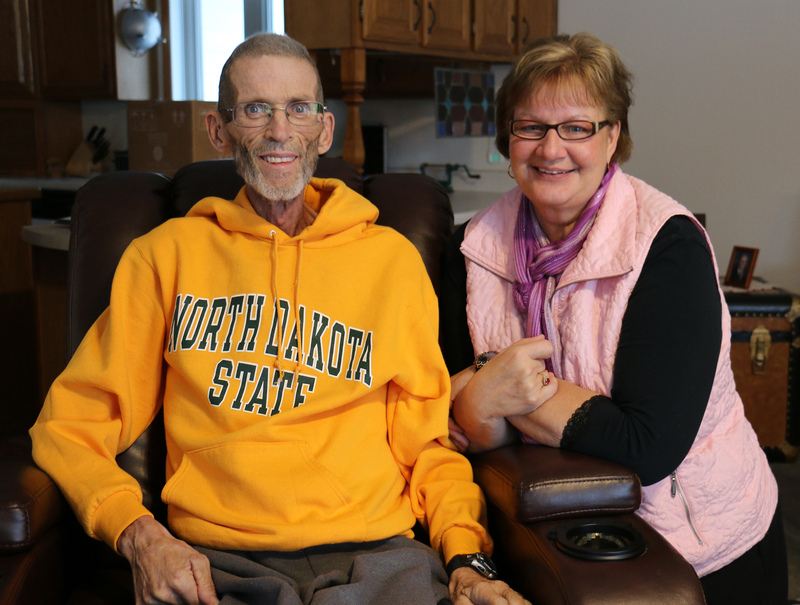 During any visit with Mike, a Hospice of the Red River Valley patient, and his wife, Eileen, you quickly realize you’re gaining an unintentional education in grace and gratitude. The couple is warm, welcoming and unassuming. Mike faces serious health challenges, but rather than becoming bitter, they are acutely aware of the blessings and kindness surrounding them. 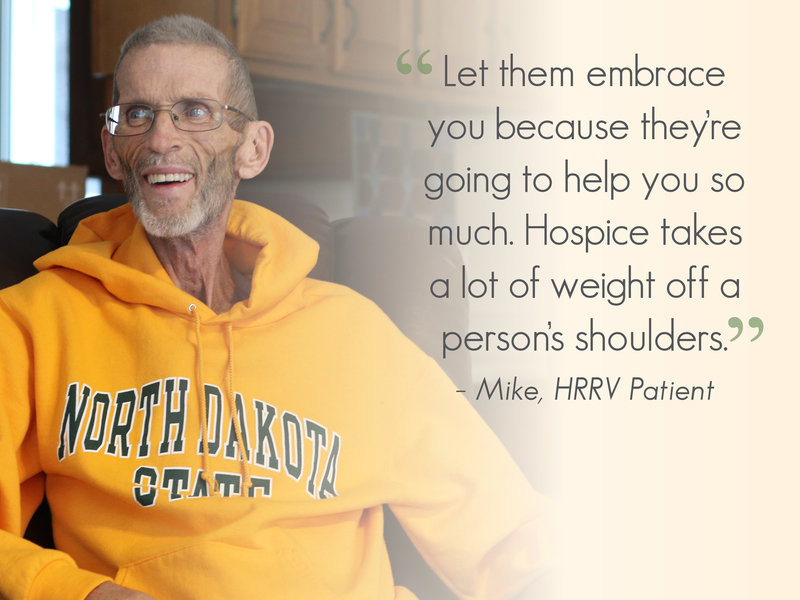 In mid-September, Mike began receiving care from Hospice of the Red River Valley after he decided to stop chemotherapy treatments. “Discontinuing treatment was hard, but also good, because it was wearing him down. You’re in one day for blood work, the next for treatment, the next for a shot. Going to the hospital four days a week, at times, was just too taxing for him,” Eileen explained. “My doctor suggested we talk to Hospice, so we talked to a hospice nurse that same day,” Mike said. 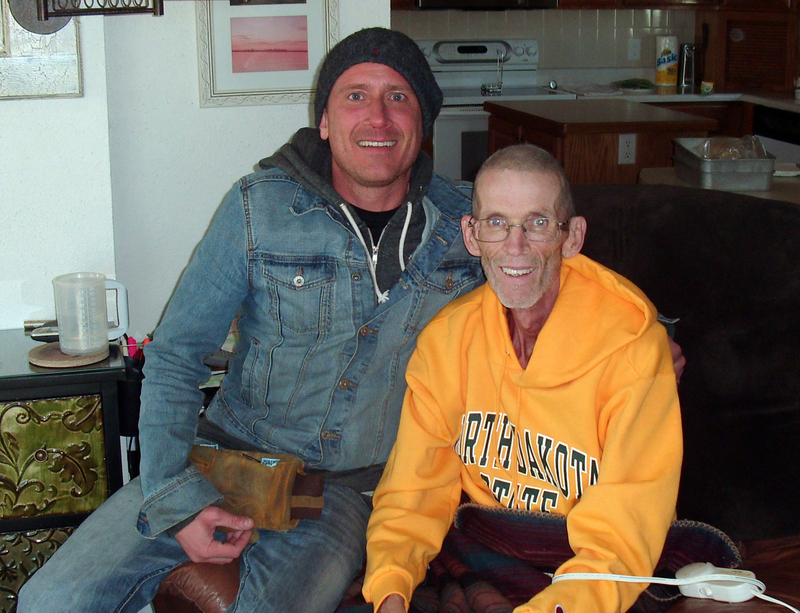 “The transition into hospice care was seamless,” he added. Initially, the word “hospice” was intimidating to the pair. But after witnessing first-hand the care and extra support hospice provides, they know hospice was the right choice for their family. 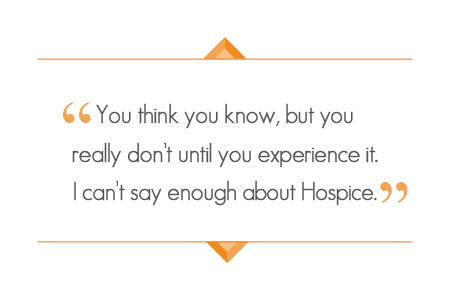 “At first you hear hospice, and it is a little scary, but it’s not a service to be fearful of. You’ve got to run to it with open arms and let them embrace you because they’re going to help you so much. Hospice takes a lot of weight off a person’s shoulders,” Mike said. Small requests to Hospice, like a different chair for the shower, have made Mike’s daily care routine easier for Eileen to manage. “It helps me take care of him. I know Hospice would be happy to come out and help me. But it’s something I want to still be able to do for him,” she said. “If I need something, I just ask, and I’ve been impressed by how quickly they’ve responded,” Mike said. A new addition of a wheelchair ramp, running from the house to the garage, is a combination of the time and talents of many people, including Mike’s dad, Nils, his brother, Jon, and a Hospice volunteer, Matt, among others. The idea for a ramp came from Nils who was hoping to ease the trips in and out of the house for Mike and Eileen. “My brother and my dad came up with a pretty nice structure and drew the plans for it,” Mike said. “They [Jon and Nils] had it planned out perfectly; they knew exactly how much lumber to buy,” Eileen said. The project came to life in just one day with the helping hands of Matt, who traveled from Fargo to assist with the build. Even though they had never met Matt before, Eileen said, “He just fit right in, and he interacted so well with our family. Everyone loved him, and he worked hard.” “What a wonderful person he is,” Mike added with a smile. “There was really no pause. They were all open-arms and super nice right away. It was a great day,” Matt said. Originally, Matt was only planning to stay for a couple of hours, but once he got involved in the project and felt the warm, small-town community spirit around him, he knew he had to stay until the ramp was complete. “I just knew there was no way I’d be able to leave until I saw him ride that ramp,” Matt shared. “How often do you get to walk into a whole community and you’re welcomed with open arms and you all have the same goal of making someone’s life a little easier and better?” The family appreciated Matt’s help so much that they even invited him to stay for a classic Midwestern lunch — tater tot hot dish. 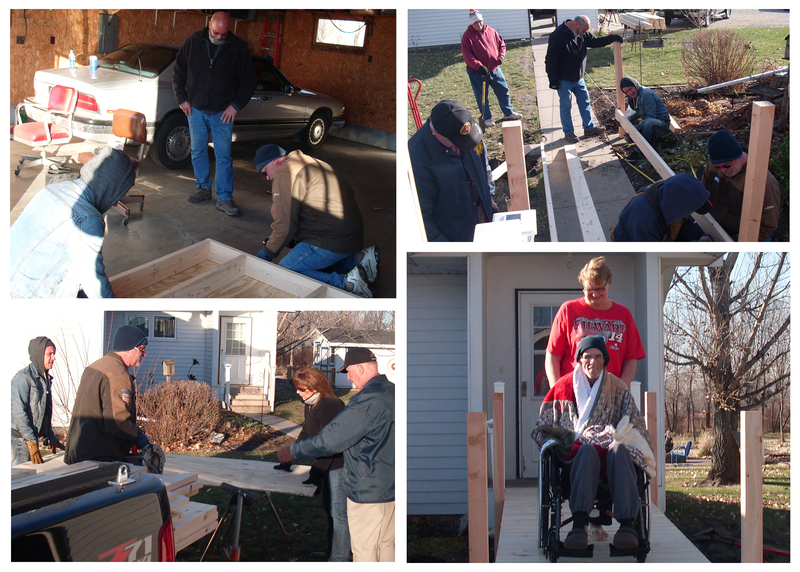 Family and a Hospice volunteer helped build the ramp for Mike. With each passing day as winter settles in, Mike and Eileen are grateful for the extra support and assistance of everyone, including Hospice. And, as Eileen says, no matter the weather, “the people are always ‘warm’ year round,” and both Mike and Eileen are thankful for that. Mike passed away on November 29, 2014. His remaining time at home was peaceful and comfortable.